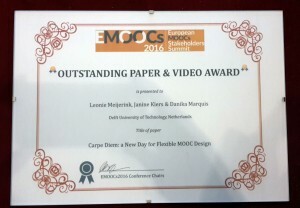 Paper presented at the EMOOCs 2016 conference in Graz, Austria. 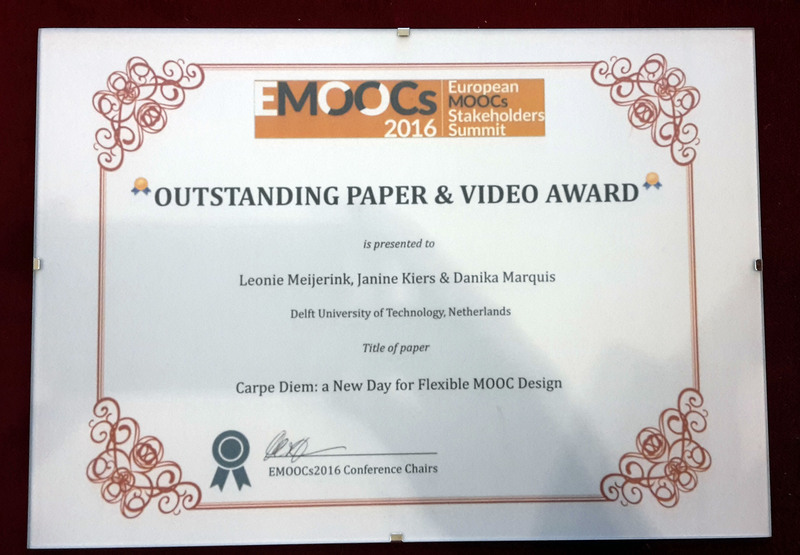 The paper was awarded the outstanding paper & video award. Is there one approach to course design that can be recommended in engineering education? At Delft University of Technology (TU Delft), we designed and developed 25 MOOCs, and our experience and expertise in course design is advancing. II. How to ensure that the specific characteristics of a MOOC are embedded in the design. For both challenges a range of ‘proposed solutions’ is suggested based on the experiences of the e-learning developers. This results in lessons learned that can be applied by anyone who would like to make use of the Carpe Diem approach for flexible MOOC design. This paper argues that the Carpe Diem approach needs to be used in an interactive and flexible way, taking into account the diversity of the course teams and course leaders as well as the special characteristics of a MOOC.